US pharma company Ariad Pharmaceuticals has licensed its cancer drug Iclusig to Italy-based firm Angelini Pharma to market in 23 Eastern European countries. Angelini will use its Austrian subsidiary CSC Pharmaceuticals to sell the drug in the Czech Republic, Hungary, Poland, Romania, Slovakia and Slovenia. Angelini will handle all sales and marketing aspects of the drug's launch, while Ariad - which receives $7.3m upfront and a “substantial” share of sales - will handle distribution. 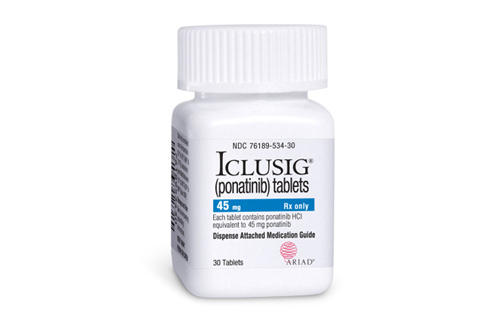 The agreement covers the approved European indications of Iclusig (ponatinib), which are currently chronic myeloid leukaemia (CML) and acute lymphoblastic leukaemia (ALL), two rare forms cancer affecting the white blood cells. Angelini, which has a wide portfolio covering pain relief, inflammation, CNS, anti-invectives and gynaecological conditions, has several bases in Eastern Europe, providing an attractive prospect to the US-focused Ariad. Marty Duvall, Ariad's chief commercial officer, explained: “Angelini will be an important partner for us in this region where, according to the EMA [European Medicines Agency], there are approximately 8,000 patients living with CML who may become resistant or intolerant to other approved tyrosine kinase inhibitors. “Angelini has the experience and geographic reach to market and distribute Iclusig in Central and Eastern Europe,” he added. The deal comes after a troubled couple of years for Iclusig in Europe where it became the subject of a safety review following concerns about its link to an increased risk of blood clot. The review concluded in October last year with the EMA's Pharmacovigilance Risk Assessment Committee (PRAC) concluding that the drug's licence remain unchanged in the EU. Angelini's commercial launches of Iclusig in these Central and Eastern European countries are expected to begin in 2015.